Over 15 years of experience in building and leading teams to deliver impactful and innovative research in demand response, vehicle-to-grid and data analytics for the electricity grid. Prior to joining eIQ, Sila formed and led the Grid Integration, Systems and Mobility (GISMo) Department at SLAC National Accelerator Laboratory in 2015 raising close to $20M in research funding. She also managed Stanford’s Bits and Watts initiative. Sila spent over 10 years at Lawrence Berkeley National Laboratory as a deputy of the Demand Response Research Center and leading the grid integration initiatives. Her efforts led to the development of OpenADR and machine learning applications for electricity grid planning with high penetration of distributed energy resources. She received SLAC’s Director’s award in 2017, the C3E Research Leadership Award in 2014, and Leadership in Smart Grid Acceleration Award in 2010. Former Head of North America e-Mobility strategy for Schneider Electric, and key architect of the global strategy. From 2012 to 2016 Yann led an internal startup at Schneider Electric to develop an IoT smart thermostat business (www.wiserair.com). From 2009 to 2012 he was based in the Paris HQ where he managed all marketing operations for the 1B+ Euro controls & devices business in EMEAS for Schneider Electric. Prior to Schneider Electric, he spent 12 years with Legrand in US & European product management & sales roles. Yann majored in business in France and then completed his executive MBA at the Syracuse University GSM. Serial "Intrapreneur" leading teams in innovative new businesses (Commercial & Residential Lighting Control, Smart Home, Small & Medium Buildings, Solar, EV, etc.) over more than 13 years with Schneider Electric. Jason has successfully brought more than a dozen commercial and consumer products to market. Jason led the design & development of Wiser Home, a collection of smart home products designed to be “grid integrated”, and Wiser Air, a smart connected thermostat, gateway, and IoT platform that is now the basis of the company’s global Wiser One initiative. Jason holds a B.S. in Computer Science and has deep experience in software design, development, leadership and product management focused on new product development for new businesses. Daniel is a long-time local and19 year veteran of the power and control equipment industry. Former Global Strategic Account Manager, Program Manager, Project Manager, Sales Engineer, and Sales Executive, during 19 year career with Schneider Electric. Daniel began his career in project design and custom equipment applications for the Square D brand. Daniel’s charging program design successfully implemented 1200+ charging locations for various customers, most notably the Tesla SuperCharger network. Daniel built multiple data center projects for DLR, Equinix, Apple, NTTA and created the business relationship between Schneider Electric and Google. Daniel has built 100+ DER projects with Bloom Energy, Tesla Energy, SunPower, SolarCity and AMS, among others. B.S. Cal Poly San Luis Obispo. Over 8 years of experience in innovative research and development focused on data-driven methods to integrate HVAC, electric vehicles, and battery storage systems into the electricity grid as flexibility assets. In 2017, raised $4M at SLAC to fund research on vehicle-to-grid and smart charging-driven planning for EV charging infrastructure. Winner of R&D Magazine‘s R&D 100 Awards for his work on estimation of renewable energy generation in the distribution grid. PhD from Carnegie Mellon University with background in infrastructure systems, machine learning, and data science. Milad has led multiple research projects on development of theoretical and computational approaches for understanding, predicting, and managing complex dynamical systems at UC Berkeley and Carnegie Mellon including optimizing operations of interdependent food-energy-water systems and modeling resilience of critical infrastructure systems. He also developed and instructed a course at UC Berkeley, Data Science for Smart Cities, to teach the fundamentals of reproducible data science, machine learning and analytic, inferential thinking. PhD from Carnegie Mellon with background in infrastructure systems, decision theory and reinforcement learning. Annette Clayton serves as the chief executive officer & president of North America Operations for Schneider Electric. Clayton is responsible for the Group’s largest operating region comprised of 30,000 employees in four business units and a services division that generated sales of approximately seven billion euro in 2017. Through 2018, she also held the title of Chief Supply Chain Officer and led the 11 billion euro Global Supply Chain (GSC) operation. She is a member of the company’s Executive Committee and is based in Boston, Massachusetts. Prior to joining Schneider Electric in 2011, Clayton served as VP, Global Operations with Dell, and led the transformation of its global supply chain. She previously served as the VP, Dell Americas Operations. Clayton worked at General Motors Corporation for more than 20 years in several management roles, including president of Saturn Corporation. She was also a member of the company’s NAM Strategy Board. In addition to her board role with eIQ Mobility, she is a director of the board for Duke Energy and Polaris Industries. Clayton also serves on the executive committee for the National Electrical Manufacturers Association. Clayton graduated from Wright State University with a bachelor’s degree in general engineering and obtained a master’s degree in engineering management from the University of Dayton. She has also completed the London Business School executive development program. Brian works closely with internal Stanford resources and collaborates with external entrepreneurship and innovation networks to help student teams develop, commercialize and deploy sustainability inventions and innovations. Brian has over 30 years of international experience in global high-tech industries ranging from R&D, Product development, Operations, and corporate development in start-up, mid-sized and large companies. 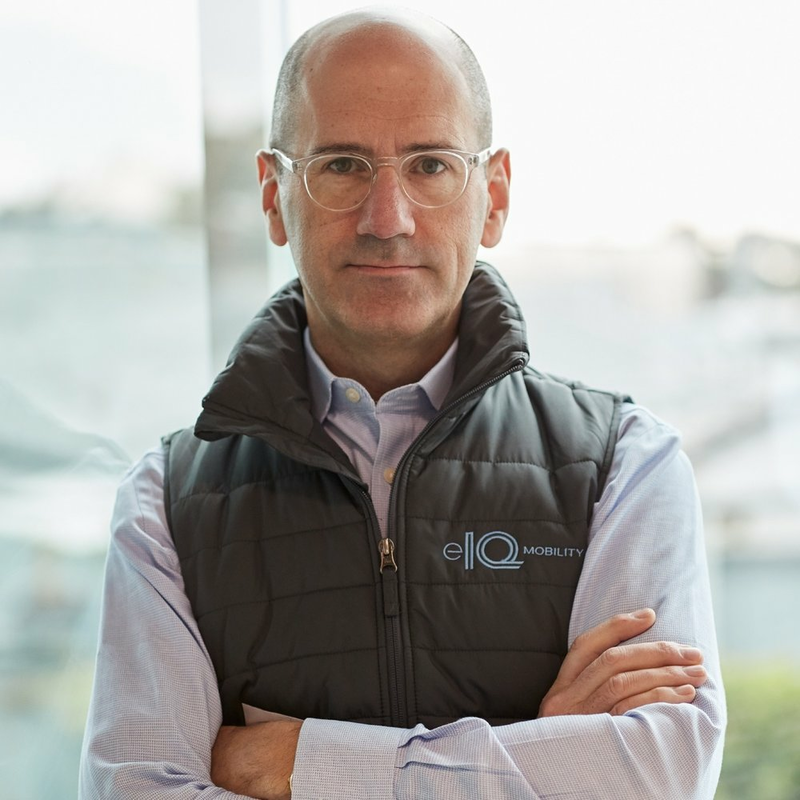 In addition to co-founding four companies he has driven growth in challenging hi-tech segments through rapid product innovation, global strategic partnerships and cross-industry collaborative initiatives. In the course of his career he has participated in one public offering, three M&As and helped raise substantial amounts of startup and growth capital. Brian holds a Bachelor of Arts in Chemical Engineering from Cambridge University and a Ph.D. in Materials Engineering from Stanford University. He has over twenty publications, co-authored two book chapters and has fifteen patents and patent applications.